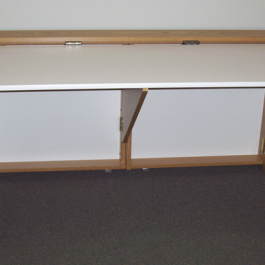 Our Space Advantage wall mount design requires less than 11 cubic feet of space when in a stored position. 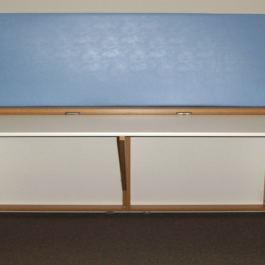 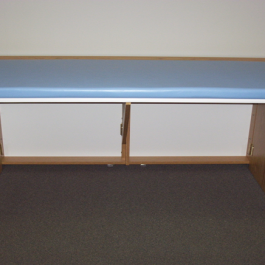 This product can be used as a Work Station, or with Upholstered Option converts to a Treatment & Recovery Table. 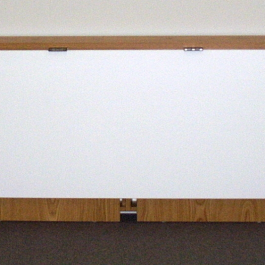 securely in the stored position allowing authorized use only. 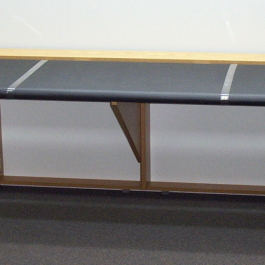 Theses Tables are made of easy to clean durable laminates.